Sidetone Sidetone enables you to hear your own voice when you are on a call. 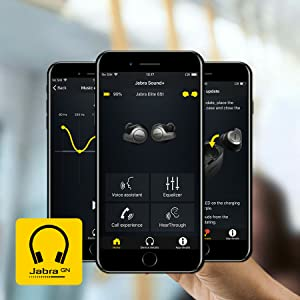 Sidetone settings can be configured using the Jabra Sound+ app. 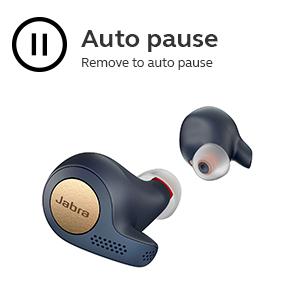 Auto-pause music When you remove an earbud from your ear while listening to music, the music will automatically pause. 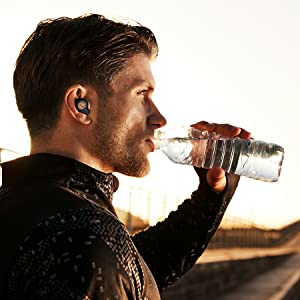 To unpause the music, place the earbud back into your ear within 60 seconds. After 60 seconds (or when mono playback is preferred) the music can be unpaused by pressing the multi-function button. 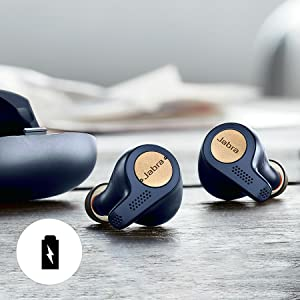 Auto power off To conserve battery the right earbud will automatically power off when it is out of range of your smartphone for 15 minutes and is not in the charging case or when it has been inactive for 1 hour. 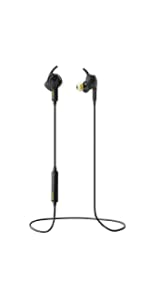 The left earbud will automatically power off when it has not had a link with the right earbud for 15 minutes and is not in the charging case. 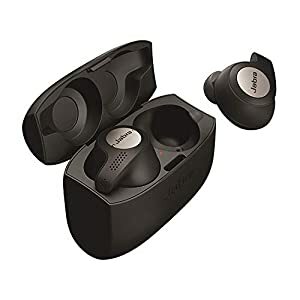 To power the earbuds on, place them in the charging case or hold the multi-function button on the right earbud and/or the volume down button on the left earbud, until the LED flashes. Never miss a second of your favourite track. When you remove an earbud your music will auto pause. 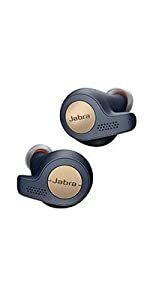 The Jabra Sound+ app is the perfect companion to your Jabra headphones, adding extra features and letting you personalise the way you use your Jabra device. 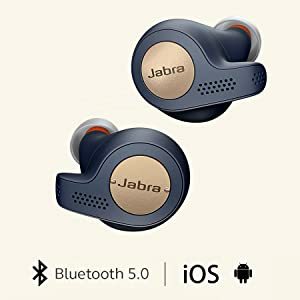 Choose your voice assistant, customise your music profile, modify how much nearby noise you want to hear, keep track of your battery charge and much more. 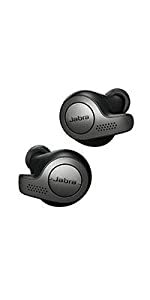 The app will constantly evolve; delivering new features to further enhance your Jabra experience. 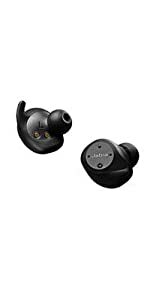 Jabra Elite Active 65t features an IP56* rating. Wherever your day takes you and whatever your activity, it won’t get in the way of enjoying sports, music and calls. You can also optimise your workouts. Track fitness and performance with an integrated motion sensor. With up to 5 hours of battery life from a single charge, and up to 15 hours in total with the pocket-friendly charging case, your needs are met from the start of the day to the end. Rapid Charge. 15 minutes rapid charge gives you up to 1.5 hours battery. 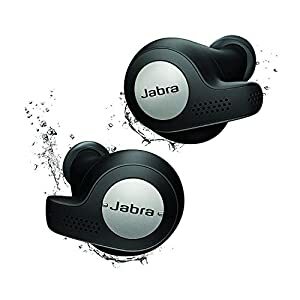 With Jabra 3rd generation true wireless stability that helps reduce call and music drop-outs, there are no wires to get in the way and no reason why you can’t enjoy conversations and uninterrupted music. Amplicomms Powertel 702 Big Button Twin Cordless Amplified DECT Telephone – Anthracite – Philip & Doreen Rhodes.